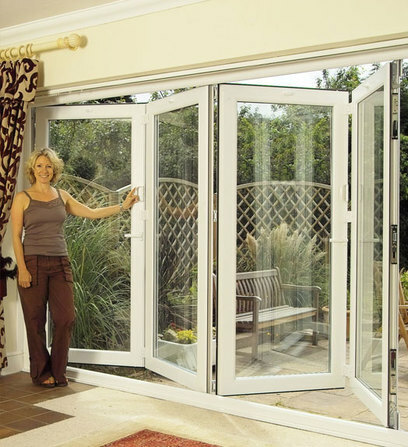 Unlike a patio door that slides open, bi-fold doors open in a concertina style. 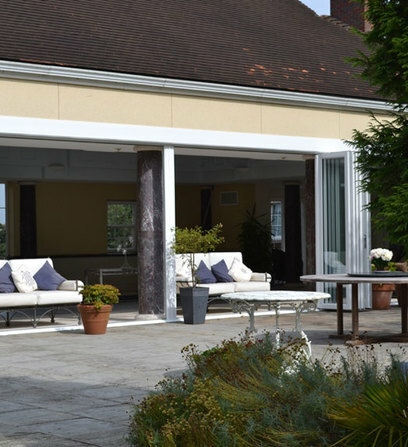 Typically, the door slides open while its panels stack neatly together against the wall. 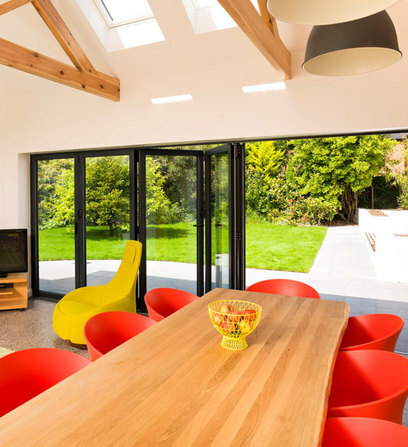 This creates a wonderful feeling of open space and allows light to flood in to your home. 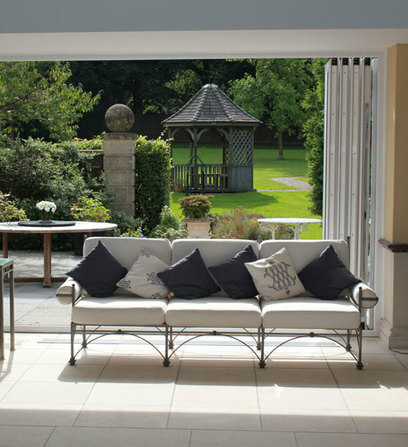 Bi-fold doors usually connect a room to an outdoor area such as a garden or a conservatory entrance. 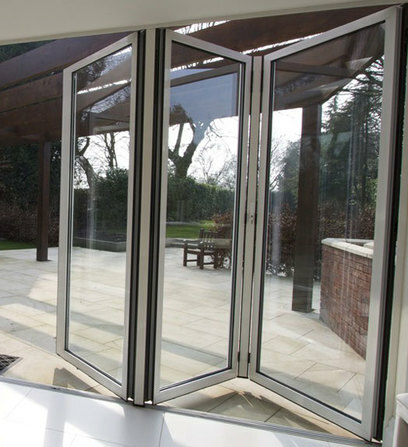 They will often feature a traffic door which is located at one end of the bi-folds. 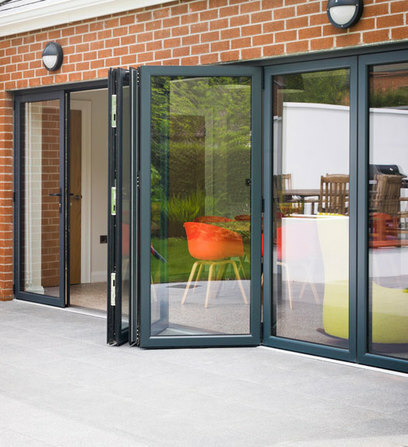 This opens like a normal door and allows you access in the colder months without having to open all of the bi-fold panels. 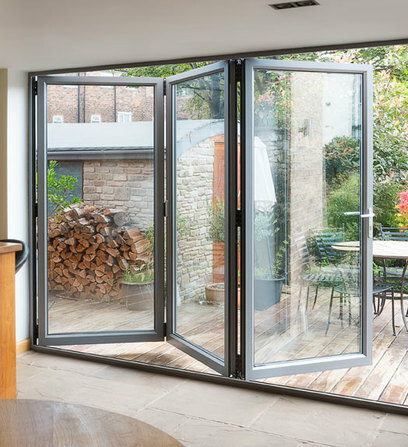 Bi-fold doors normally consist of between 2 and 7 panels, but if you need more leafs then we offer a fully bespoke service. 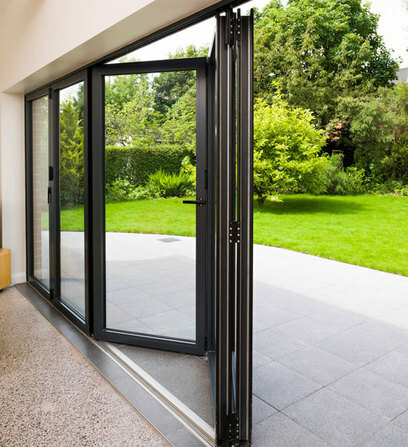 Our doors are designed with an ultra slim profile and are available in a choice of aluminium or uPVC. 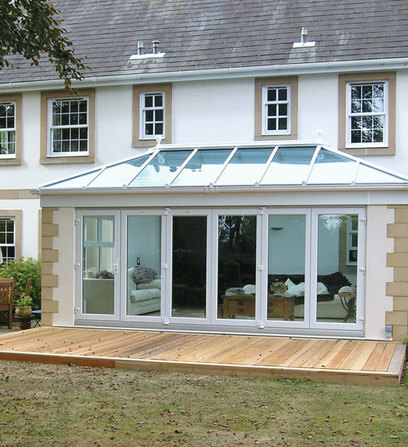 They are of course manufactured with energy efficiency very much in mind.  When combined with the latest state of the art energy saving glass there’s no need to worry about your heating bills. 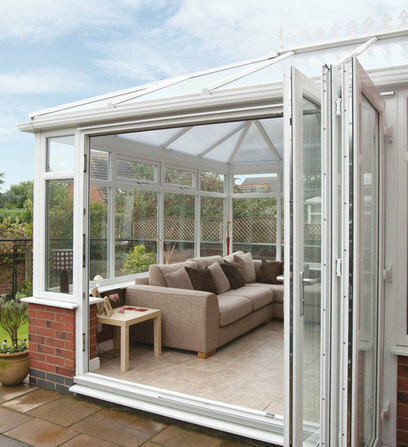 Our bi-fold doors are also designed with your safety as a priority. 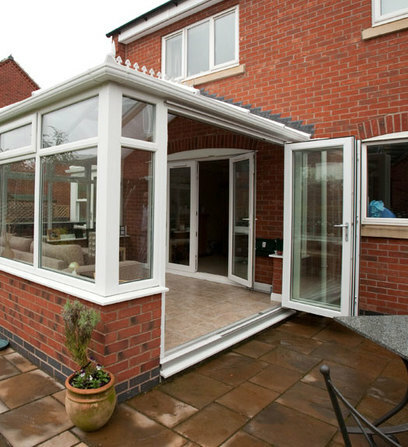 They are fitted with the latest multi-point locking systems to make them as intruder proof as possible. 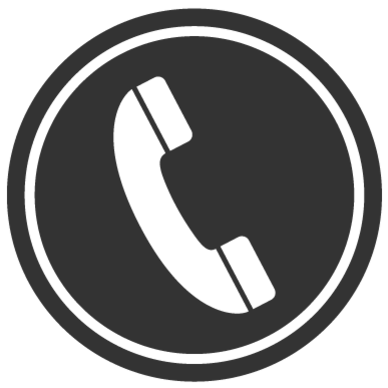 If you would like one of our designers to visit you in the comfort of your own home to create a bespoke design then please phone us on 01206 710773 or email us by filling in the form. 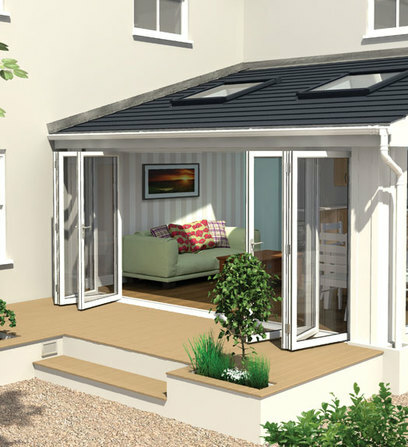 Alternatively call in to our Colchester showroom in Gosbecks Road and ask to speak to a designer. Choose from an incredible choice of different designs in every colour you could possibly imagine. 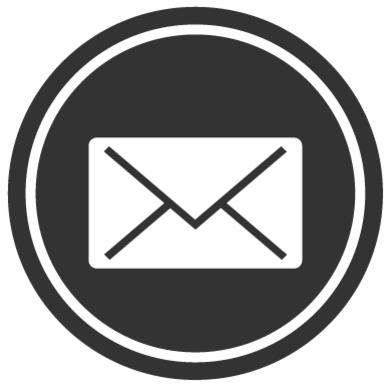 And for the finishing touch personalise your door with a handle and letterbox of your choice.